Andrea Ponsi graduated in architecture in Florence in 1974. He then completed the AA Graduate Diploma at the Architectural Association in London and, recipient of the ITT International Fewllowship, a Master’s Degree in Architecture at the University of Pennsylvania in Philadelphia. His activity includes architecture and city planning, design, painting and writing. Since the early 70’s he has worked on the relationship between ecology and architecture. In 1977, together with Giovanni Del Signore, he published The Solar House, a monograph on bioclimatic architecture. From 1978 to 1988 he lived in San Francisco where he worked with Mark Mack, Peter Calthorpe and Sym Van Der Ryn on architecture and city planning projects, focusing on environmental sustainability. His work has been published in books and international magazines (“Domus”, “Interni”, “Wallpaper”) and has been the subject of solo shows (Galleria Iannone and Galleria Internos in Milan, Haus der Architekten in Dresda, Universidad Catolica in Santiago, Chile) and group exhibitions (Museo della Triennale in Milan, Venice Biennale). In 2000 he won the international competition for the design of the Palos Verdes Art Center in California. Besides completing several commercial and residential buildings (Olivart Center 2000, Arezzo; Exhibition pavilion, Arezzo 2002; Tiburon House, San Francisco 2008), he has designed and self-produced objects, furniture and exhibiting systems. He currently works between Italy and the United States. 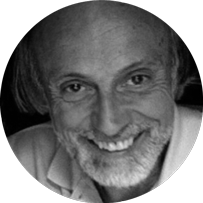 He has taught architectural design and drawing at University of California-Berkeley, Syracuse University, University of Toronto and the Institut Technion in Haifa, Israel. Since the early 1990’s he has been professor of architectural design at Kent State University in Florence and Visiting Lecturer at Washington University in Saint Louis, University of Minnesota, Cal Poly San Luis Obispo and Bahcesehir University in Istanbul. – Andrea Ponsi, Florence. A map of perceptions (University of Virginia Press, 2010). – Andrea Ponsi, Firenze sensibile (Alinea Editore, 2008). – Andrea Ponsi, Florence-Changing Viewpoints (Alinea Editore, 2001). – Andrea Ponsi, The Copper House (Alinea Editore, 2000). – Andrea Ponsi, Elementary Design (L’Archivolto, 1994).